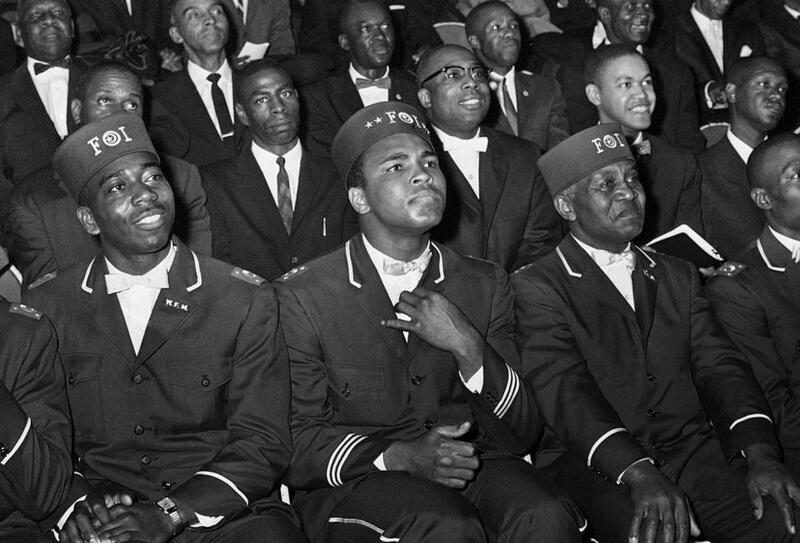 Muhammad Ali listened to Elijah Muhammad as he spoke to other black Muslims in Chicago on Feb. 28, 1966. 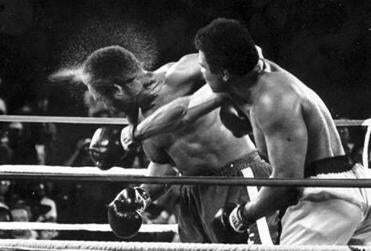 There have been spouters aplenty in the last few days — everyone from the NBA commissioner (“Ali transcended sports with his outsized personality and dedication to civil rights”) to the British prime minister (“a champion of civil rights”) to the junior senator from Massachusetts (“Muhammad Ali fought for civil rights . . . for human rights . . . for peace”). It is true that in his later years, Ali lent his name and prestige to altruistic activities and worthy public appeals. By then he was suffering from Parkinson’s disease, a cruel affliction that robbed him of his mental and physical keenness and increasingly forced him to rely on aides to make decisions on his behalf. But when Ali was in his prime, the uninhibited “king of the world,” he was no expounder of brotherhood and racial broad-mindedness. On the contrary, he was an unabashed bigot and racial separatist and wasn’t shy about saying so. “I know whites and blacks cannot get along; this is nature,” Ali replied. That was why he liked George Wallace, the segregationist Alabama governor who was then running for president. Ali was many fine things. A champion of civil rights wasn’t among them. Martin Luther King Jr. at one point called him “a champion of segregation.” If, later in life, Ali abandoned his racist extremism, that is to his credit. It doesn’t, however, make him an exemplar of brotherhood and tolerance. And it doesn’t alter history: At the zenith of Ali’s career, when fans by the millions hung on his every word, what he often chose to tell them was indecent and grotesque.